Niantic has just detailed a brand new health-tracking feature set to arrive in Pokemon GO very soon indeed. It’s called Adventure Sync, here’s what you need to know. There's a brand feature set to arrive in Pokemon GO. It's called Adventure Sync, and is essentially a platform that makes use of the health-tracking data on your phone. It opens up a whole bunch of possibilities, like tracking steps taken even when the app is closed. In this Pokemon GO adventure Sync Guide, we've collected all of the key info associated with the new feature. We'll go over what it means for egg hatching, Buddy candy, and also take a look at when it is set to launch. For more on Pokemon GO, be sure to check out our Pokemon GO Guides Hub. It's full of tons of awesome info on the game. From Raids and Gym battles, to egg hatching and events, it's all there. What is Pokemon GO Adventure Sync? You may have seen pop-ups in Pokemon GO talking about a new feature called Adventure Sync, but what is it exactly? Well Adventure Sync is a way for Pokemon GO to use data gathered by your phone's health-tracking apps. It can log your activity over each day, and use it to award bonuses in-game. It works in conjunction with iOS HealthKit and Android Google Fit, to count your steps. It'll work in the background while you go about your day, opening up some interesting new possibilities. One of the most useful new features that Adventure Sync allows is the tracking of your steps throughout the day, without needing the app to be open. This means that all of your steps will count towards hatching eggs and earning Buddy candies. Meaning that you'll likely see a real increase in productivity in these areas. Niantic is offering Pokemon GO players added incentives to get out into the world. There will be weekly milestones based on distance walked that will award bonuses. We don't know what these bonuses will be yet, but it's a great added extra for if you're playing the game and walking around anyway. The cool thing about this is that you'll basically get something to help you in Pokemon GO for just walking around, you don't have to load up the app. Where Can I See My Adventure Sync Progress? 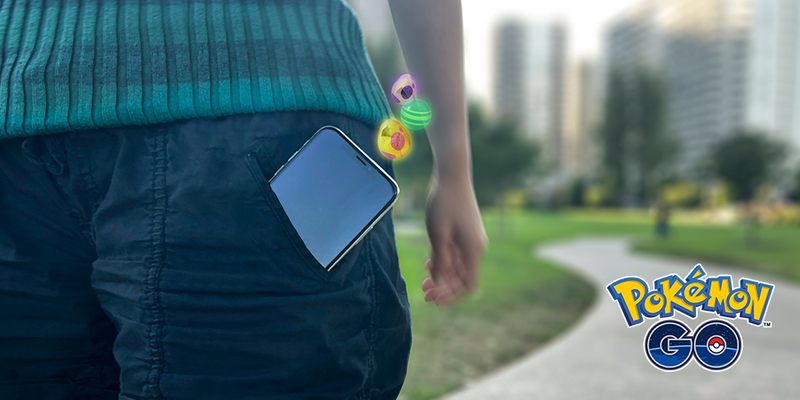 You'll be able to enable specific push notifications for when eggs are about to hatch and when your Buddy finds a Candy. You can check all of this, along with your progress each week in the Trainer profile tab. Just tap on your trainer's avatar to find out more. In the post that was released recently, it was mentioned that the Adventure Sync feature would be arriving soon. There were no specifics given, but if it were far off then more info would be available. We're betting on a gradual rollout worldwide over the next week or so. Be sure to check back in, as we'll be updating this page with any info we get ahold of.